The dollar index was trading up at 0.02 per cent at 96.01 against a basket of six currencies in early trade. Mumbai: The rupee pared its initial losses to recover slightly by 2 paise to 66.94 against the American currency in late morning trade on bouts of dollar selling by banks and exporters amid higher equities. The rupee opened lower at Rs 67.05 per dollar from yesterday’s closing level of Rs 66.96 at the Interbank Foreign Exchange (Forex) market. Later, it slid further to Rs 67.07 before recovering to quote at 66.94 at 1030 hours. The domestic unit hovered in range of Rs 67.07 and Rs 66.93 per dollar in late morning deals. Somewhat bearish dollar overseas and sustained FII inflows lifted the rupee sentiment, a forex dealer said. Meanwhile, the dollar index was trading up at 0.02 per cent at 96.01 against a basket of six currencies in early trade. 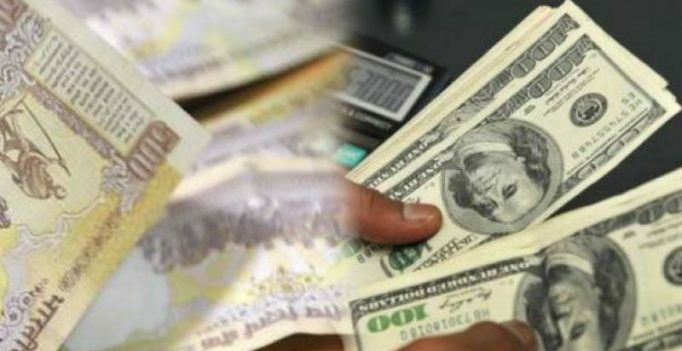 Overseas, the US dollar was trading mostly flat against its major rivals in early Asian trade, but wavered against the yen and euro ahead of a closely-watched US non-farm jobs report on Friday which is expected to shape the market’s near-term interest rate expectations. Meanwhile, the benchmark BSE Sensex was trading higher by 47.12 points, or 0.17 per cent, to 28,499.29 at 1050 hrs.